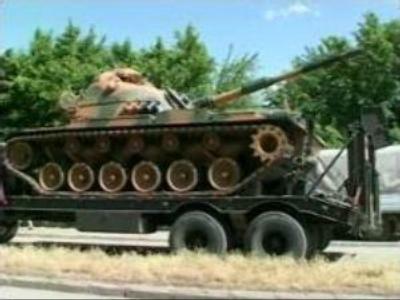 Turkey is continuing its military incursion into Iraq to shell suspected separatist rebels. It claims it is targeting Turkish Kurds, however the action has raised concerns that the conflict may escalate to include Iraq's Kurdish population. U.S. Secretary of State Condoleezza Rice has warned Turkey it risks expanding regional tensions with any “robust” move of troops into Iraq. Turkey's leaders are debating whether to stage a major incursion to pursue separatist rebels who cross over from bases in Iraq to attack Turkish targets.